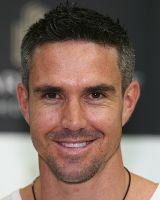 Kevin Peter Pietersen, MBE was born 27 June 1980, he is a South African-born English cricketer. He is a right-handed batsman and occasional off spin bowler who plays for Hampshire County Cricket Club, England, and was the captain of the Indian Premier League team Royal Challengers Bangalore in second season of the IPL. Kevin Pietersen's career has verged on the extraordinary at every turn. From shunning the South African quota system, to returning to his homeland with three ODI centuries and securing the Ashes with his maiden Test ton. After a quiet debut against Zimbabwe he was thrown in during the one-dayers against South Africa in 2005. Undeterred by hostile receptions from the home crowds, he announced his arrival - loudly, of course - with three centuries in five innings, and in doing so demonstrated his peerless eye for the ball and for making headlines, too. After plying his trade successfully in the English county circuit, Pietersen earned the England cap in 2004. From scoring hundreds against South Africa in South Africa, to being part of two Ashes-winning squads, to being appointed captain of the England team, and then relinquishing captaincy in controversial circumstances. Find Kevin Pietersen profile and stats of batting, bowling and fielding including latest updated news of Kevin Pietersen, videos and images at Hamariweb.com. Also find detail Player profile and career statistics of Kevin Pietersen of England. 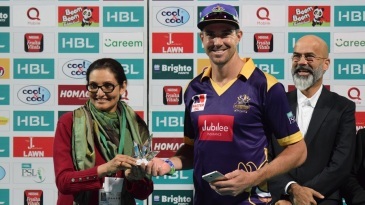 Kevin Pietersen is out of the team because of his attitude . as mustaq ahmed said that his understanding with team made was not good ..he always alone..
Kevin Pietersen - Find Kevin Pietersen of England Cricket Team complete player profile, number of matches, runs score, wickets & catches, Statistics, Records, Kevin Pietersen Latest News, Kevin Pietersen Videos, Kevin Pietersen Photos, and other Kevin Pietersen Cricket Team players.